90s power grunge rock band, Creed, reunited 10 years ago. They released an album, Full Circle, and then the members of Creed went on and focused on other projects. Scott Philips (Drummer), Brian Marshal (Bass player), and Mark Tremonti (Lead guitar) are all working on their next album for Alter Bridge under the working title ABVI. Tremonti has a self-titled band that is also taking the world by storm. Scott Philips is also in a side project called Projected (with unofficial Creed member Eric Friedman leading the band). 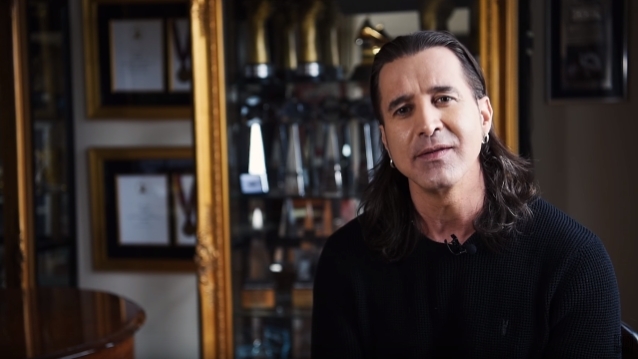 Scott Stapp is currently working on his next solo project. There is no possible way that the band Creed would get back together, is there? According to RockFeed, Stapp recently said “Never say never”. In fact, Tremonti recently said in an interview that he is sitting on a Creed record. Would you want to see Creed back together? On Air with Ruben Jay: Vegas Baby!